Have you ever noticed someone you follow on Instagram is posting constantly about a certain product, brand or service? Have you ever wondered why? Or how they got that gig? To be clear, I'm not talking about a celebrity. I'm talking about a person you know in real life, a friend of yours. Perhaps someone who has around 1,000 followers. And in this case - less is more. Having fewer followers actually makes the person seem more real and trustworthy; therefore allowing the average consumer to feel comfortable listening to their recommendation to buy. This marketing approach is a growing trend on social media, and that friend of yours I just mentioned, is considered to be a "micro-influencer." So how do you become one? Is it effective, or simply deceptive? Be the First to Say Hi! And Riotly Social Media isn't the only agency looking to "help you grow fans on Instagram." 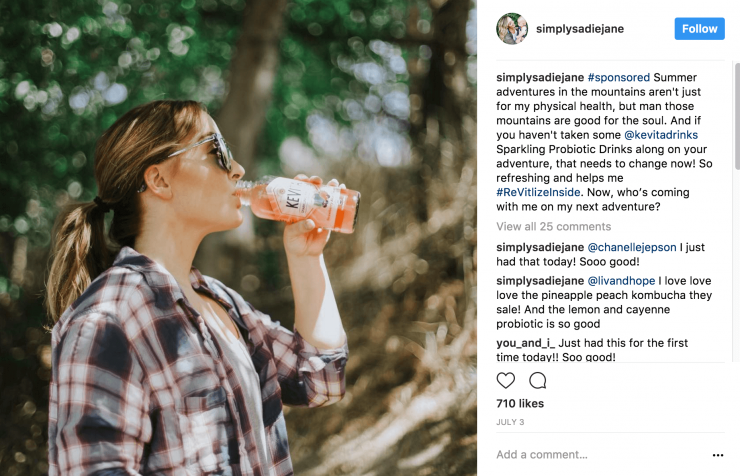 Studies have shown that micro-influencers are extremely beneficial for brands and carry a lot of weight in increasing sales and consumer outreach. Relevance - which links to "Be an Expert"
Content Quality - which links to "Create a Brand Image"
Start with Social Media Interactions - which links to "Be the First to Say Hi!" Look for Influential Fans and Followers - which links to "Start Making Friends"
Micro-influencers are proven to be extremely effective for the brand's marketing efforts and beneficial for both parties as the micro-influencer is paid and elevates their social status, while the brand appears more trustworthy and gains more customers. Micro-influencers deliver engagement, are cost effective, and create social buzz. In my opinion, there is nothing wrong with micro-influencers. I think that if I know the person personally and they are recommending a product, I am more likely to try it, compared to a celebrity posting about a brand they use. I don't see the harm in companies using social media stars to reach consumers, especially in this day in age where social media has become a person's main source of information, entertainment, and place to waste time. However, it is unethical if there is not full disclosure that the person posting about the brand is receiving some sort of compensation or free products. Ultimately, if a company is paying you to post about their brand, it is impossible to be unbiased in your review/sponsorship. But, I would like to believe that a micro-influencer would be ethical themselves and only work for a brand they truly believed in and felt confident supporting.